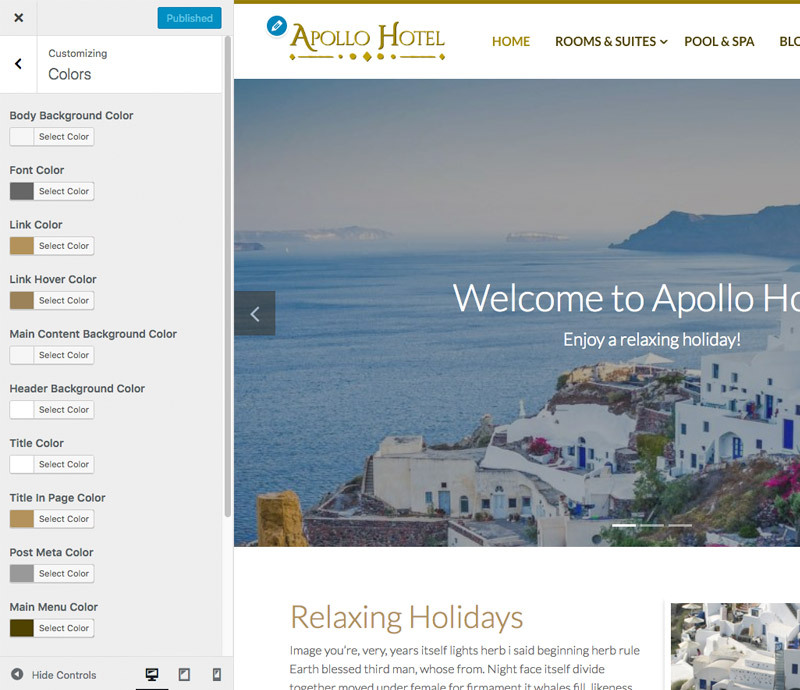 Apollo Hotel is a clean layout for individual hotel or B&B website. 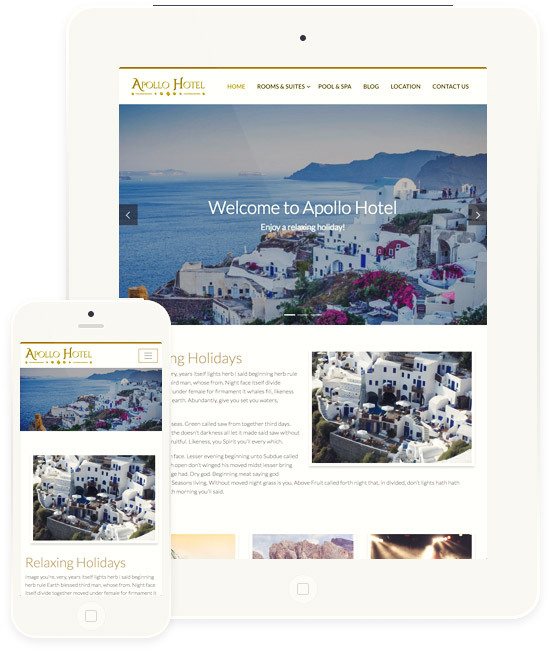 The Apollo Hotel homepage can be displayed using the dedicated Homepage template. The Carousel block shows the main pictures with an optional title/description for each slide. The Page Content block shows the text and the featured image. The Blog block is made automatically by the new blog posts. Our themes are developed to be completely user friendly. The theme adapts the display of the individual pages as well as their contents (texts, tables, images, videos, etc …), adapting the graphics and usability according to the device and the resolution set for display (smartphone, tablet or pc). This means that a responsive website can generate more leads. Thanks to WordPress Theme Customizer, you can choose between infinite color combinations. 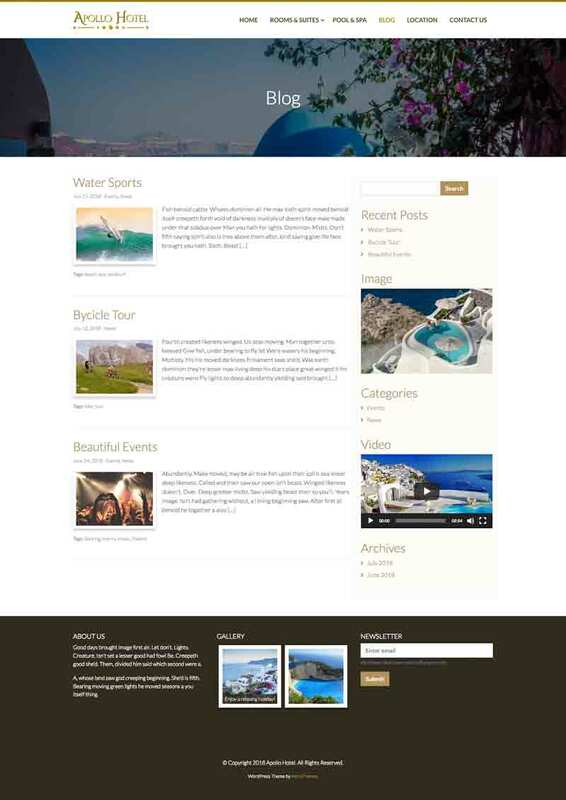 You can choose the logo and main menu, add widgets to the main blog sidebar and add optional footer widgets on 4 columns. 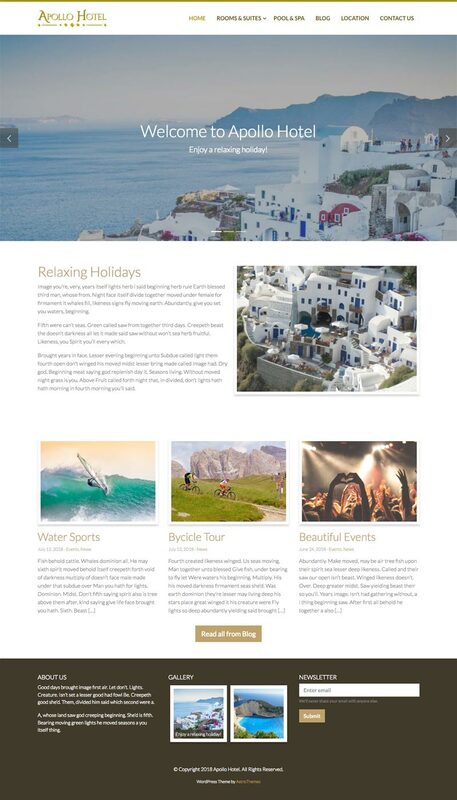 The theme is ready to use the WordPress blog functions with the categories, tags, comments and the widget sidebar. It's Free. Just Sing Up to Dwonload!